Rare triangular Carpathian elm burl overlays. Beaded dentil molding above the full plinth base. Cream colored Roman numeral dial with convex glass crystal and solid brass, diamond cut hinged bezel. Durable bronze bushings. Finished in Oak Yorkshire on select hardwoods and veneers. 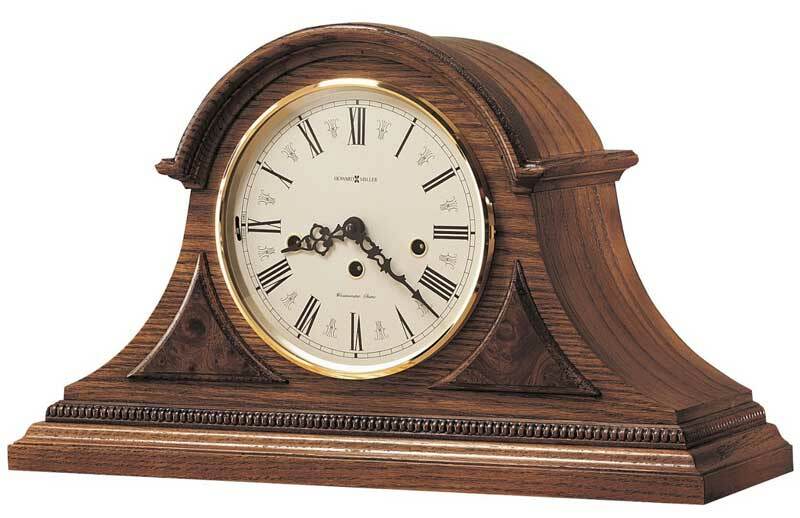 Westminster melody plays quarter hour chimes and full hour count on oversized, acoustically tuned chime rods. 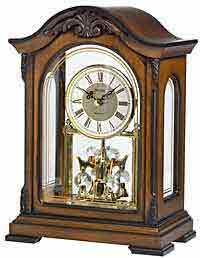 German made Kieninger Key-wound Westminster chime movement requires winding only once per week. Chime on/off lever and durable bronze bushings. 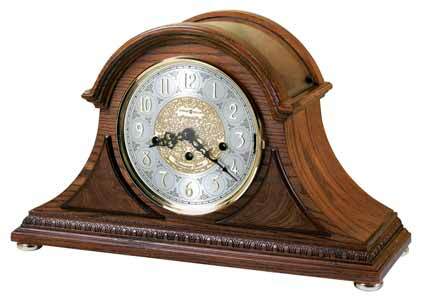 Clocks for sale at The Clock Depot including the 613-102 at discount prices.